Sally Wen Mao is the author of Mad Honey Symposium (Alice James Books, 2014), which is the winner of the 2012 Kinereth Gensler Award. Her work has been anthologized in Best American Poetry 2013 and is published or forthcoming in Guernica, Gulf Coast, Indiana Review, Third Coast, and West Branch, among others. The recipient of fellowships and scholarships from Kundiman, Bread Loaf Writers’ Conference, and Saltonstall Artists’ Colony, she holds an MFA from Cornell University. Listen to Sally Wen Mao read “Yume-Miru Kikai [The Dreaming Machine],” from 41.2. Black Warrior Review: One of the things I love most about “Yume-Miru Kikai” are the voices that run through it -you include lines translated from Satoshi Kon’s last letter, glimpses of films finished and unfinished, and also moments of more personal introspection. What was the writing process like for a poem containing so many strands? 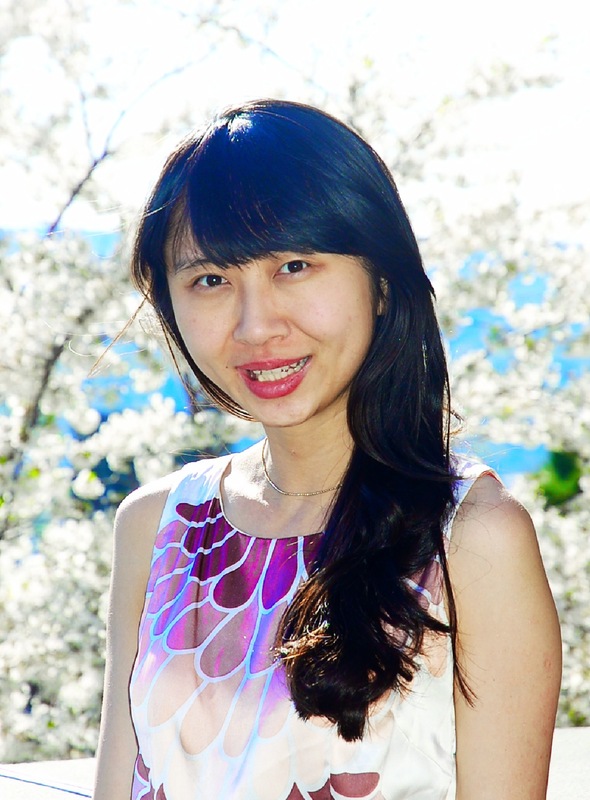 Sally Wen Mao: It began as an idea, an ambitious one that I was not sure I could pull off. I started this poem in the summer, when someone told me that the animation studio Madhouse had given up on finishing Satoshi Kon’s last major film project, The Dreaming Machine, a movie I’d been anticipating for over a year. This was devastating news, and it came as a double blow after Kon’s recent death in 2010. I wasn’t sure how to channel this loss into a poem, and so I thought I’d write something completely messy, and inadequate, and personal, as a way of grappling with the enormity of this double-death—death of the artist, and then death of the artist’s vision. When I first wrote the poem, I couldn’t get it right, gave up, and abandoned it. Then I realized: this is exactly what the poem is responding to—this act of artistic surrender. I came back to it a year later, and suddenly I knew how to finish the poem. Satoshi Kon’s films have always been personal to me—and nothing, no filmmaker I can think of has a style and subject matter quite like Kon’s—he could dive deep into the psyche of the dispossessed, the brilliant and lonely, the unconventional, and make it beautiful and true. The poem “Yume Miru Kikai” attempts to delve into these films, and what they have meant to me, but also a question of how do we reconcile our lived realities with our desires, the limitations of our physical bodies and what we’ve conjured in our artistic visions. I found a translation of Satoshi Kon’s last letter—I read it aloud, and was so moved by it. It was shocking that his notes and extensive instructions for Yume Miru Kikai would sit unfulfilled because the studio never had the budget to finish his film. In any case, this proves that no one on this universe could make a Satoshi Kon film. The poem attempts to acknowledge Kon’s mastery and admit this is a travesty for the rest of us. BWR: The poem is, at least on one level, about a dreaming machine that ‘predicts the past’ and ‘remembers the future’. If you had a dreaming machine, what would you want it to do? SWM: I would want a dreaming machine that dreams up the most beautiful dreams and then show me exactly how to make them a reality—but who wouldn’t? A machine that would transform an impossible dream into something practical, something possible—maybe it would come with step-by-step instructions, or maybe it would come with a video, maybe it would transport you there. This is the eternal conundrum: the visualization of desires (dreams), and then the dissonance between that and reality. Or maybe something simpler: when I am at a loss about what to watch or read or listen to next, the teleprompter of this Dreaming Machine would tell me exactly the book that would most move me or the film and song that would most resonate for this moment in time. The ideal Dreaming Machine would make us all less lonely. BWR: I was excited to see Tokyo Godfathers mentioned in the poem: I watched the film last summer, and loved it. “Yume Miru Kikai” is of course explicitly about an (unfinished) film, but where else and how else does pop culture function in your work? SWM: Pop culture is its own dreaming machine: it gives its consumers a slice of the popular imaginarium—our dreams, our fantasies, our conceptions of ideal realities, our illusions, our heroes, our villains, our faith in the narrative or our will to abandon it. I think pop culture, for many writers, is that portal to a collective desire, a collective need to consume a fantasy. In “Yume Miru Kikai”, pop culture is that “dreaming machine” in our present lived reality. Pop culture dictates different ways we experience anxiety and time through the films we watch, the artists we admire, and our awareness of both their innate impermanence and our own. BWR: And on the same topic, what films have stayed with you and affected you most? SWM: Many of the films in the poem, like Millennium Actress, have stayed with me. Millennium Actress is about a legendary film actress who retreats quietly into old age – it splices her film roles with her biography, and the lines between these realities are blurred. One of my other favorite films is Wong Kar Wai’s Fallen Angels. I love this auteur’s films in general, but something about the loneliness and glamour of Hong Kong at night really blooms in Fallen Angels. Takeshi Kaneshiro has a minor role—he plays a mute bandit who opens restaurants and businesses in the middle of the night for those wandering nocturnal souls. As a night butcher, he straddles a pig and massages it. It’s very surreal, and quite like a cinematic dreamscape. BWR: There’s a multitude of city-references throughout the poem: Yokohama, Brooklyn, a golden city, a ruined city. What city, real or otherwise, do you find yourself most connected or drawn to? SWM: I’ve always loved the idea of imaginary cities—once I taught a class at Cornell about alternate universes and fantasy worlds. I think of Calvino’s Invisible Cities, or Macondo from Marquez’s One Hundred Years of Solitude, and those fantastic wonderlands of Studio Ghibli films and those of Satoshi Kon as well. And real cities can be just as phantasmal when seen through the eyes of disparate authors. James Baldwin’s Paris is going to be very different from Mario Vargas Llosa’s Paris or Yoko Tawada’s Paris. In my life, I’ve been a lucky visitor to many, many cities, and there isn’t a single city that wholly and completely encompasses me—I can’t be the person or writer I am today without having experienced the feeling of being the eternal visitor, eternal stranger. The cities I’m drawn to are manifold. I was born in Wuhan, an industrial city in Hubei Province in China, grew up in Boston and the San Francisco Bay Area, went to college in Pittsburgh and graduate school in Ithaca, and now I’m living in Brooklyn. If there’s anything my life patterns have taught me, it’s that I blossom in cities and wilt in the suburbs. At this time, I’m very connected to New York City because I’m still new to this place. Every time the J train crosses the Williamsburg Bridge, I still find myself fixated on the way the skyline unravels and you can see the water lapping all the shores of Brooklyn and Manhattan, how skateboarders and cyclists race the train into the sidewalks and vanish, the assembly lines of cars on their daily commutes. Yesterday I was in San Francisco, and it’s incredible how different it feels on the West Coast—the tiny gardens of succulents, the vibrant colors of the houses, the Pacific Ocean rising and falling as you walk up and down the hills, the Golden Gate Park and its twin windmills. This is another city just as beloved for me, and it doesn’t stop in the United States. Every city is a living organism with a will to thrive to its last breath. The international cities I’ve visited I’ll never stop returning to in my dreams: Tokyo, Beijing, Hong Kong, Singapore, Paris, Amsterdam, Bogota, Kuala Lumpur, Berlin, Milan, Athens, and so on and so forth until I exhaust my steam engine. BWR: We at BWR are always seeking out new work and new writers, so what’s your favorite lesser-known book (or chapbook) from the last year or so? SWM: Recently I’ve been reading from Nightboat’s new translations of Hilda Hilst, The Obscene Madame D and Letters from a Seducer. They are super dirty and super amazing. This isn’t exactly lesser known, but I loved A Tale from the Time Being by Ruth Ozeki, which I’ve just finished reading and it’s one of my favorites this year. I’m excited about a couple of fresh new releases this autumn: Eugenia Leigh’s Blood, Sparrows, and Sparrows is coming out of Four Way Books this October. R.A. Villanueva’s Reliquaria was also just released from the University of Nebraska Press. In keeping with my future theme, another forthcoming release I’m excited about is Phillip B. Williams’ A Thief in the Interior, coming out from Alice James Books in an eternity (or 2016). BWR: What have you been writing recently? And what’s surprising you most about it? SWM: Recently, I’ve been experimenting with different genres and working on a new poetry manuscript since Mad Honey Symposium. “Yume Miru Kikai” is borne out of this manuscript, which examines the idea of “exposure” and what that means: whether on the Internet, on television, in films, and other mediums. One of the major projects within this manuscript I’ve been working on is a series of poems about Anna May Wong, a Hollywood actress in the Golden Age. All her life she struggled with Hollywood’s racism and fetishization of her ethnicity, but this didn’t stop her from becoming an international icon in the worlds of film, theater, and fashion. In these poems, Anna May Wong discovers a time machine and travels into the future of American cinema. She is dismayed to learn that not too much has shifted, in terms of Asian representation in Hollywood – she finds herself watching films like Breakfast at Tiffany’s (released just six months after Wong’s death) and Sixteen Candles, both films with racist caricatures of Asian men, as well as traveling further into the 2000s, where she cameos in roles in Kill Bill, Memoirs of a Geisha, and Gwen Stefani’s music videos. Perhaps the biggest surprise for me writing these poems is how much liberty I could take by using a time machine as a central poetic device. I had a lot of fun writing these poems because they require a lot of imagining – of how Anna May Wong would react to these kinds of changes through the last fifty years of American cinema, of where she would fit into these (very sparse) modern roles for Asian American women. We haven’t had a major Asian American Hollywood actress since Wong—and this is both shocking and not surprising at all, for Wong was both vilified because of the roles she took as Asian female stereotypes and celebrated for being outspoken on the status of minorities in Hollywood. Another surprise was that I wrote a poem about Anna May Wong going home with Bruce Lee, with the aid of her time machine. I ended up imagining vividly how they would react to each other – both of them very visible icons whose faces stood in for entire populations of invisible Chinese Americans. BWR: And lastly, I’m intrigued by what I’ve read about your recent book, ‘Mad Honey Symposium’. Can you tell us a little about the project? SWM: Mad Honey Symposium is borne out of many poetic obsessions I’ve harbored for the past seven years. I began this manuscript with poems about honey badgers, and how much I admired this animal’s inane yet admirable tenacity to sate its appetites for dangerous animals (rattlesnakes, African honeybees, and porcupines). Then the manuscript veered into a few directions. It’s a field guide to trapped animals: the honey badger, Laika the space dog, a flock of doomed pigeons. It’s a diary of poisons: the Trinidad Scorpion (a dangerously spicy pepper), the azalea flower, and of course, mad honey. Mad honey is a honey made from noxious plants like oleander and rhododendron—if someone consumes it, they may become intoxicated and suffer hallucinatory visions. Records of Greek texts by Xenophon reveal the power of mad honey—its ability to transform a soldier into a salivating mess by the end of a long evening. With mad honey, I was able to find the manuscript’s other spine—of humans who poison themselves for the sake of their desires. In a way, the thrill of self-poison is simultaneously human and animal, a Darwinian puzzle, perhaps. In a way, we are all honey badgers. To read Sally Wen Mao’s work and more, pick up a copy of 41.2 or order a subscription from our online store.